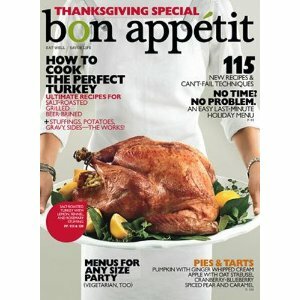 Bon Appetit invites readers to roll up their sleeves and cook. Then to join us at a great table, one that might be set anywhere from Boston to Bangkok. Both inspiring and practical Bon Appetit delivers the just right mix of sophistication and accessiblity, indulgence and simplicity and always quality without pretense.